Controversy rages after Republican Congressman preaches white supremacy live on national television. 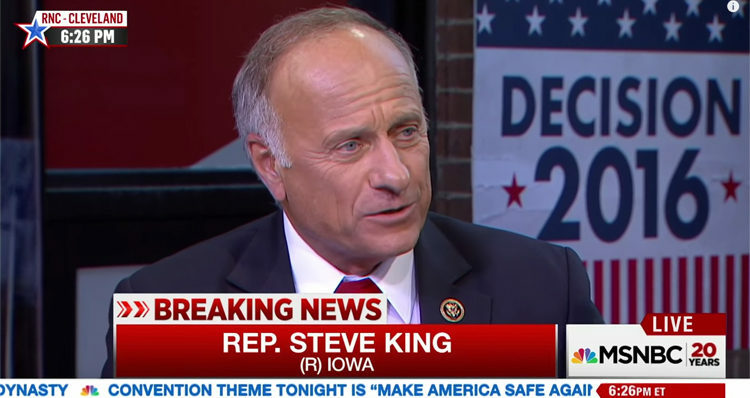 U.S. Representative Steve King (R-IA) ignited a firestorm when he declared that white people had contributed more to civilization than any other sub-group of people. The Tea Party Congressman made the remarks during a roundtable discussion hosted by MSNBC’s Chris Hayes.